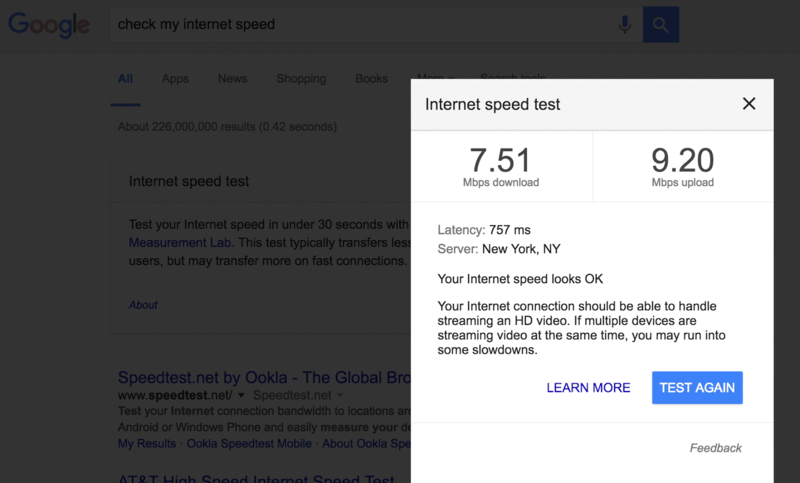 Last month, a report suggested that Google is working on an internet speed test tool that will be built right into the search result. Now, it looks like the company has started rolling out the feature for some users. As per a new report, few users spotted the speed test tool in the US when they typed ‘check my internet speed’ in Google search. Falling in line with previous report, the search result shows a widget that lets you run the speed test without opening any third-party sites such as Ookla. 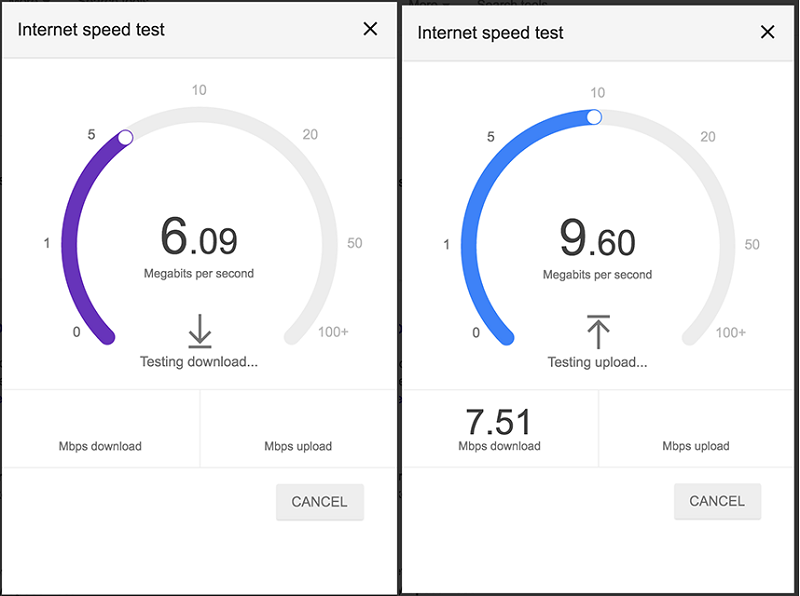 The internet speed test which is conducted by Google’s Measurement Lab can be used by anyone by going directly to the tool. As per the screenshots, the UI looks neat and simple and shows download and upload speeds. At the end of the test, it give you a detailed result with an option to test again. Dr. Pete Meyers who first tweeted the screenshots last month has shared more about the test results. It is not known when Google will roll out the speed test tool globally.